During the spring semester, Point Park University theatre production majors gained experience outside of the classroom at the annual South Eastern Theater Conference in Mobile, Ala., and United Institute of Theater Technology Convention in Fort Lauderdale, Fla. Associate Professors Stephanie Mayer-Staley, M.F.A., and Aaron Bollinger, M.F.A., traveled with the students. "On these trips, our students interviewed with companies from around the nation, attended workshops and connected with industry professionals," said Mayer-Staley. 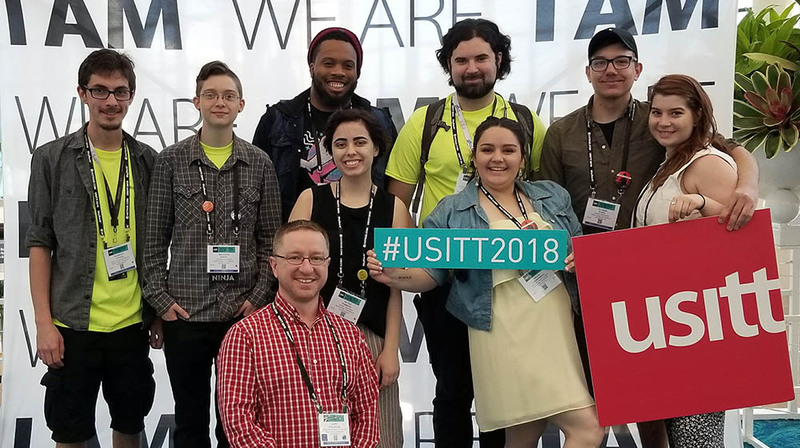 Grace Taraborrelli, a senior stage-management major from Upper Darby High School in Darby, Pa., said the USITT convention inspired her to explore different avenues in her career. "The professionals I met with encouraged me to work for a variety of tours, intern for different companies and explore all aspects of theater and entertainment," Taraborrelli said. "Those experiences will help guide you to find what makes you happy in your future." 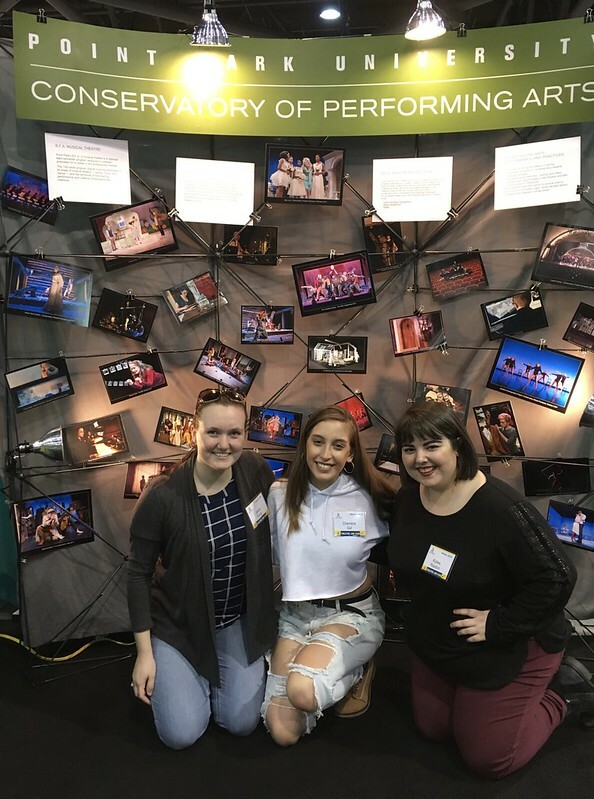 "Attending SETC really brought into focus the world of theater and how many jobs there are," said Jenni Ferg, a senior stage-management major from Susquehannock High School in Shrewbury, Pa.
At SETC, Point Park's Kylee Risdon, a junior stage-management major from Lakewood Ranch High School in Sarasota, Fla., captured first place in the stage-management games competition. "I competed against 25 students from other schools in five different events, including line notes, blocking, props memorization, plotting points and paper tech," Risdon explained. "We had one minute to review a cue script for a scene and call the lighting, sound and special effect cues while actors performed it." "SETC is such a unique experience where people from the same world we call theater can get together and express themselves creatively, while gaining so many new opportunities and experiences that would otherwise be difficult."